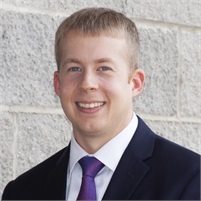 Justin Gibson serves as an Investment Advisor Representative with Benson Financial Group. He holds a B.S. degree in business administration with an emphasis in finance from Hannibal-LaGrange University. Justin is involved in the H.A.Y.S. mentoring program through the Hannibal Public Schools, serves as Hannibal Camp Treasurer for the Gideons International Ministry, and he serves as board member for the following organizations: Early Bird Kiwanis, the United Way of Mark Twain Area, and the Hannibal Career and Technical Center. Justin’s interests include cycling, golfing, reading, traveling, watching sports, and spending time with family and friends. Justin lives in Hannibal, MO, with his wife Brooke and daughters, McKenzie and Madison. They attend Madison Park Christian Church in Quincy, IL.